Lava XOLO A500S is a nice device and having killer looks. The device is mid-ranged device (RAM and processor) but still many people are buying it because of it's looks and it's cover. 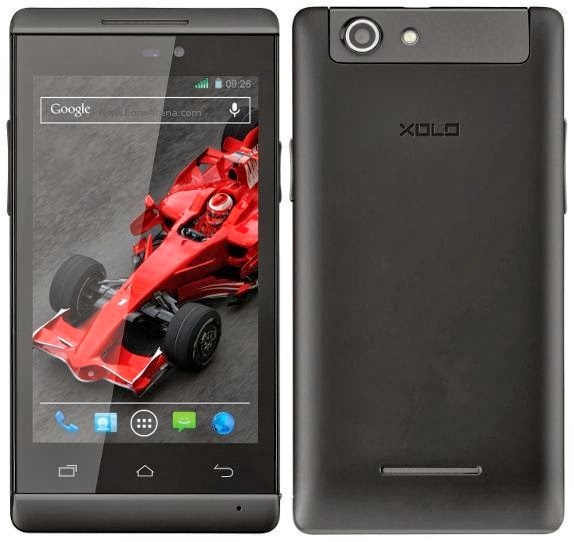 XOLO A500S is a dual SIM device with Dual Standby. It has a display of 4 inches with 480 x 800 pixels (16m colors support). You get 512 MB RAM with this handset which is I think less for the gamers and okay for normal users. It is clocked @1.3 GHz and that's good. The device is having MediaTek MT6572W Dual Core Chipset (Cortex A-7) which is clocked @1.3 GHz. After seeing the specifications, I think the benchmark of XOLO A500s would be 8k~10k, not more than that. The GPU provided with this device is cool, yeah. There is a Mali-400 GPU fitted in this device for gaming and better frame-per-seconds which will make your videos run like a butter, even HD videos. With the 512 MB RAM, you get 4 GB Internal Storage (2GB for SD Card, 700 MB for applications and other storage for data partition). The device is running on Android 4.2 Jelly Bean with 3.4.5 Kernel. There's a 5 Mega Pixels camera at the back of this device which is clear and clicks nice pictures with 2592 х 1944 pixels and LED flash which can record upto 720p HD videos and a front VGA camera. You record and get 30fps (Frames Per Second) in videos. 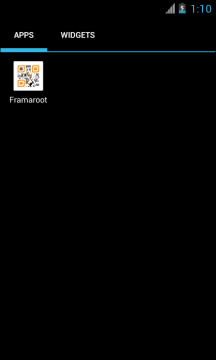 You can root XOLO A500S easily with Framaroot application which is free to download and you just need to simply install it in your mobile and just click root it! Simple? I know that it's very simple and even newbies perform these easy steps. 60-70% of battery before trying this. USB Debugging Enabled: Go to Settings, open About Phone. After about phone, tap 7 times on Build Number, when you will complete your taps, you will get a popup you are a developer now. Now, go back and open Developer options and enable it. 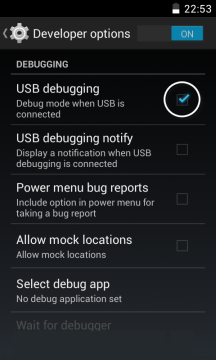 After enabling Developer options, enable USB Debugging. Unkown Sources enabled: Go to Settings, then open Security. Now tick Unkown sources and click yes to the warning. Download the application from your computer or your mobile phone. You will get a popup Success :-) ... Superuser and su binary installed. You have to reboot your device after some time. If you got this message then this means you're rooted now! You will see SuperSU application installed in your Android device. You can see the application in your launcher's application drawer. 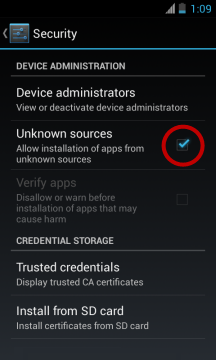 If you are not sure that your device is rooted or not then check this by Root Checker application from Google Play Store, it's for free. See a simple video made by me on YouTube, it's very easy and especially made for XOLO A500S users with ease. hey brother .. i herd the roomer about the frameroot. No Buddy. It's completely wrong. After rooting nothing will change except an application! It is just a fake rumour. Will it work fr xolo A500 too? Hi I have Xolo era x I root my drive which methed?? And then how to open SB game hacker plzzz.....help me!!! !